Kevin "Lee" McDaniel, age 61, of Talking Rock, passed away Friday, January 25, 2019 at Piedmont Mountainside Hospital. He was born March 13, 1957 to Delmer and Belle McDaniel in Jasper, Georgia. 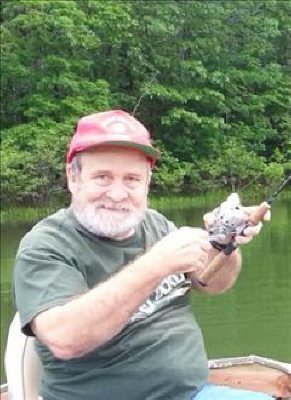 Lee is survived by his children, Paul Lee McDaniel of Ellijay, Michael Blake McDaniel of Ellijay, Andrea "Brooke" McDaniel of Tate; parents, Delmer & Belle McDaniel of Jasper; siblings, Martha McCurry of Jasper, Frankie McDaniel of Jasper, Glenn McDaniel of Ellijay, Faye Coffey of Jasper; grandchildren, Gavin Lee McDaniel, Ethan Blake McDaniel, Elijah Paul Lee McDaniel, Emory Leigh McDaniel, Reagan McDaniel, Harlan Blackwell; his companion, Annette Pendley and her daughter, Jennifer. Several nieces, nephews, and other relatives also survive. The family will be receiving friends at Roper Funeral Home, Sunday, January 27, 2019 from 11:00 a.m. until 2:00 p.m. A graveside service will be held at Salacoa Baptist Church Cemetery at 3:00 p.m., Sunday, January 27, 2019. The family requests in lieu of flowers, donations be made to Salacoa Baptist Church Cemetery Fund in honor of Lee. To send flowers or a remembrance gift to the family of Kevin Lee McDaniel, please visit our Tribute Store. "Email Address" would like to share the life celebration of Kevin Lee McDaniel. Click on the "link" to go to share a favorite memory or leave a condolence message for the family.